Your logo, your exterior signage, and your advertising play a large role in branding your business and giving it credibility and memorability. 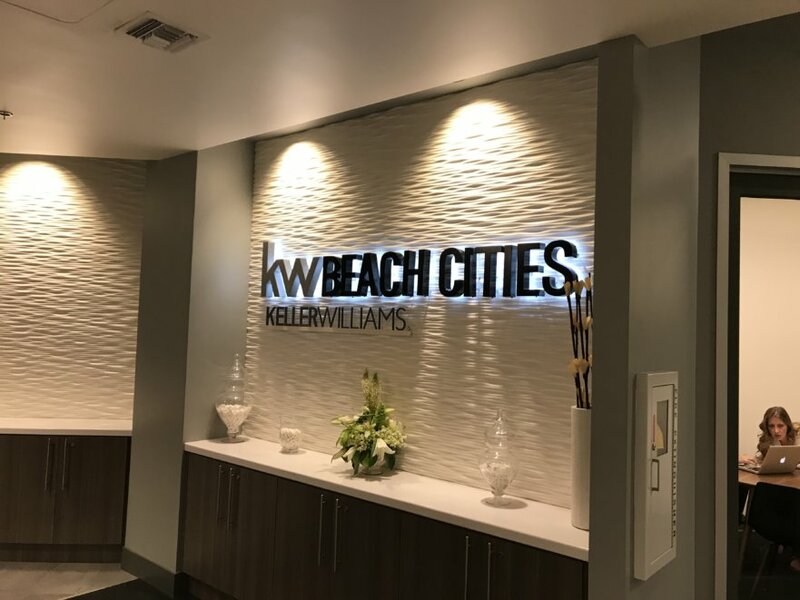 But one of the most important and most often overlooked ways to connect your office to your clients is your lobby or reception area. When a client walks into your office, your lobby signage is their first experience with your brand and your company. This is when clients make their first major decision, perhaps subliminally, about the way they feel about your brand. Whether you want to come across as hip, traditional, edgy, fun, experienced, or anywhere in between, an illuminated lobby sign is great way to present your brand. 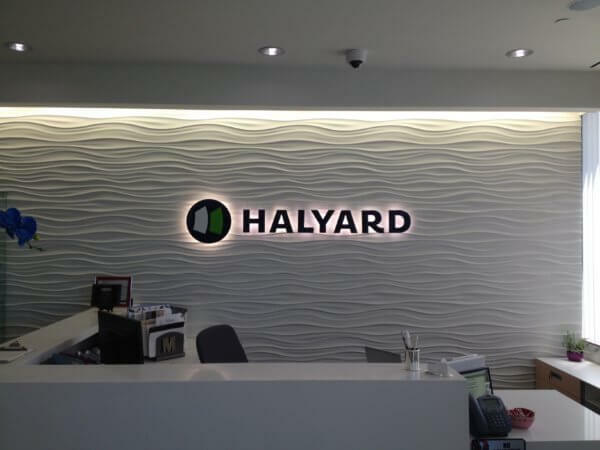 Used on either individual letters and logos or around an entire sign as a whole, halo-illumination draws attention to your sign by casting a halo of light onto the wall behind the sign. This type of signage is great for all types of businesses, and it helps draw attention to the sign. These types of signs create a three-dimensional effect. Illuminated from inside, the lettering or logos are cut out of the sign face and replaced with a translucent material that protrudes through the sign face, and is highly legible and easily distinguished, even from afar. You don’t have to choose either halo illumination or push-through signs—you can have both if you wish. Have illuminated lettering or logos in the middle of the sign and a halo on the wall behind the sign as well. Our illuminated lobby signs are illuminated using the latest in LED lighting technology. LEDs are extremely energy efficient and long lasting, meaning that while you will be grabbing the attention of your guests, you will still be limiting your carbon footprint, minimizing waste, reducing maintenance costs, and keeping your energy bill low. Studies have shown the impact that light and contrast have on human visual perception. 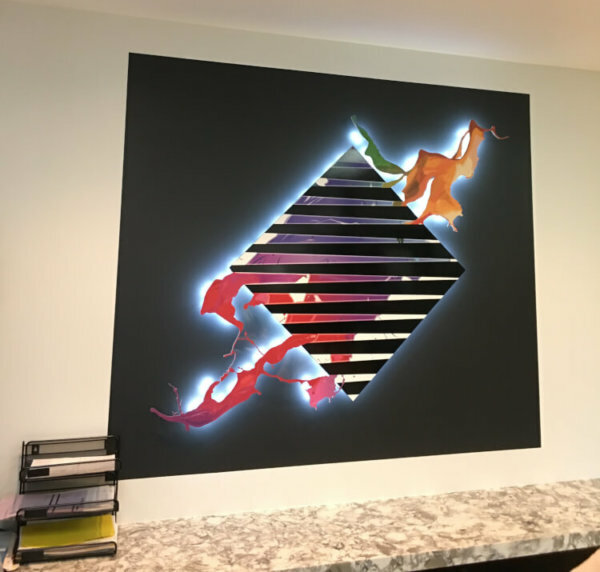 Using both light and contrast on your lobby signage will use these principles of neuroscience to draw the attention of your guests directly to your beautiful, illuminated lobby sign. No matter what you have in mind for materials—aluminum, stone, wood, acrylic, glass, anything else—we’re equipped to make your vision a reality. No two clients are alike, and for us, no two signs are alike. 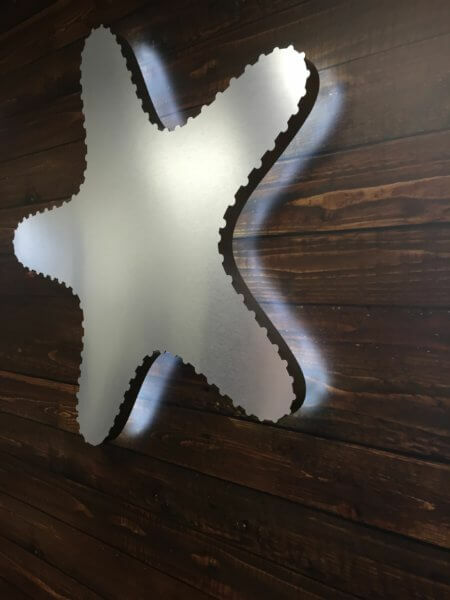 You don’t need to know exactly what you’re looking for either–our team of expert designers will talk you through the options to maximize the impact of the sign and help you leave a lasting impression on your guests. Are you interested in learning more about illuminated lobby signs, or any other type of custom signage or graphic solution for business? Schedule a time to chat with our expert designers about your signage needs and vision. Custom signs are our passion, and we’re eager to help you.